The physical act of cleaning can dislodge negative energy in that area. Think, that wonderful feeling of a freshly cleaned kitchen or room. So put on some cleaning gloves and get dusting and mopping. Another basic tip is to de clutter, getting rid of items that you don't use. You can donate old clothes, shoes and household items, which will add to the feel good factor. A good rule of thumb is if you haven't used something for over a year, you are most likely not going to ever use it, so let it go. 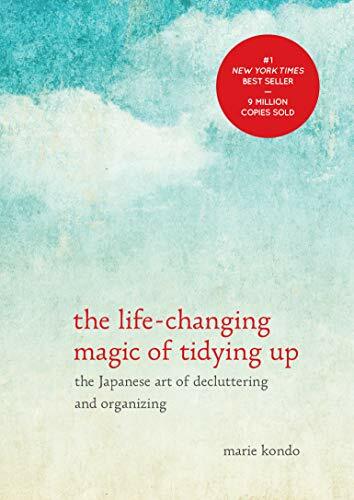 Marie Kondo has created such a movement with her best seller book ‘the life-changing magic of tidying up.’ There is even a Netflix series by KonMarie where she helps families make inspiring tidying up makeovers. The series is testament to the amazing and deeper changes that cleaning up can bring into the lives of you and your loved ones. Also check out her website https://konmari.com/ to learn more. What I simply love is that she starts by praying to the house and asks the owners do to the same- to thank it and ask for support in the tidy up process. The question that she asks when deciding whether to keep something or dispose it off (loving and by thanking it for the ) is ‘Does this spark joy?’ Profound! Moving on from our awe of Kon Marie. Wash things like curtains, cushion covers, bed sheets, pillow covers, bath and hand towels often to keep the energy fresh. These items attract and retain energy so its really important to wash them the energy off often. Let me ask you to recall that feeling of lying on a freshly washed bed sheet- wouldn’t it be amazing to have that often? You might have noticed that negativity can build up more in places that receive less sunlight and fresh air. So open those windows to bring in both. If you have small windows, you can use mirrors to amplify light. Even slightly bright lights in dull corridors and rooms can make a big difference to get good energy flowing. Burning incense once or twice a day of any fragrance that you like can really help to cleanse the energy in spaces or rooms. If incense is not your thing, essentials oils that are not synthetic and are purely natural can also be used, either by spraying on upholstery and linen or using an oil burner (preferably diluted in water for both options). Our favorites scents are lemongrass, citrus, lavender, sandalwood, vanilla, and sometimes even rose. Sea salt is known to be a go to cleanser or healer for the body, aura and even physical spaces. You can mop the floor with sea salt dissolved in water (Buy Sea Salt on Iherb.com). Himalayan salt can also be used. How about one of those beautiful Himalayan salt lamps? Sage has powerful healing and cleansing properties. For home cleansing, you can burn a sage smudge stick, (just like an incense) and move it around the house so the smoke can reach all the rooms. If you cannot get access to sage where you live, you can order it from iherb.com (this link also has a discount for first time customers). Plants help to bring in oxygen and positive energy into the house. Flowers, revered in Feng Shui even in the form of paintings, can really change and uplift the energy of a space. But do remember to discard/recycle any dead or sick plants immediately as they can cause negative energy. Clap the negativety away! We were quite surprised to read about this Feng Shui tip of cleansing negative energy recently. You can also test the space for negative energy this way. At a place you want to test, clap your hands- if the clap sounds crisp, the space is filled with positive energy. But if the clap sounds dense and not crisp, it means there is presence of accumulated or negative energy. So how do you clear the space? Clap clap and clap till the clap sounds crisp and clear. This can be done in any space. If you liked this post or have anything to add to the list, we'd love to receive a comment from you. Recently saw a colleague use a Lady Nada, White light space and a Sage cleansing spray this in the office and was intrigued! You get room as as well as Aura cleansing sprays. A good place to get one would be at your local crystals store or check out Amazon.